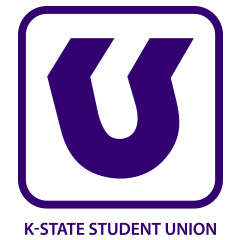 As part of the Your Union renovation project, the K-State Student Union’s Cats’ Den will be moving from its temporary location in the William T. Kemper Art Gallery on the first floor to its newly renovated location in the center of the first floor. To accommodate the move, the Cats’ Den will close at noon today and remain closed over the weekend. Hours of operation the week of Oct. 17 will be 7 a.m. to 5 p.m. Monday–Saturday and 11 a.m. to 5 p.m. Sunday. Normal hours of operation return Oct. 24 and will be 7 a.m. to 10 p.m. Monday–Saturday and 11 a.m. to 10 p.m. Sunday. Frequent renovation updates will be provided through the K-State Today and the Union’s social media channels. Be sure to follow the hashtag #YourUnion. More detailed information can also be found on the Your Union website. Additional questions can be directed to Audrey Taggart-Kagdis, Union director of marketing, at akagdis@k-state.edu.